Grammy Award-winning mezzo-soprano Sasha Cooke has been called a â€œluminous standoutâ€� ( New York Times ) and â€œequal parts poise, radiance and elegant directnessâ€� ( Opera News ). Ms. Cooke is sought after by the worldâ€™s leading orchestras, opera companies, and chamber music ensembles for her versatile repertoire and commitment to new music. In 2018-19, Sasha Cookeâ€™s operatic engagements will include role debuts as Eduige in Rodelinda at the Gran Teatre del Liceu and the title role of Orlando with the San Francisco Opera. She returns to the title role in Humperdinckâ€™s Hansel and Gretel which she performs with the Los Angeles Opera under the direction of James Conlon. Orchestral appearances include the Chicago Symphony Orchestra for Handelâ€™s Messiah , the National Symphony Orchestra for Ravelâ€™s ShÃ©hÃ©razade under Mirga GraÅ¾inyte-Tyla, and Houston Symphony in her first performance of Dvorakâ€™s Stabat Mater led by AndrÃ©s Orozco-Estrada. Ms. Cooke celebrates the centennial of Leonard Bernsteinâ€™s birth by performing his songs with the Atlanta Symphony Orchestra, in addition to the Symphony No. 1 Jeremiah with the Nashville Symphony, and Symphony No. 3 Kaddish with the St. Louis Symphony. She will reprise Passage (a work she created at the Kennedy Center in 2017) with the Sioux City Symphony Orchestra. 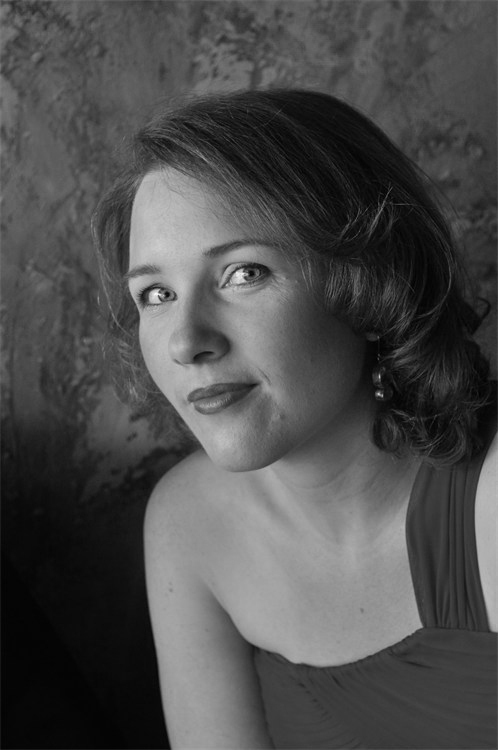 Ms. Cooke has performed with over 60 symphony orchestras on four continents and with opera companies around the world including the Metropolitan Opera, OpÃ©ra National de Bordeaux, San Francisco Opera, Seattle Opera, Houston Grand Opera, English National Opera, Dallas Opera, Santa Fe Opera and The Israeli Opera. A dedicated recitalist, Ms. Cooke was presented by Young Concert Artists in her widely acclaimed New York and Washington debuts at Carnegieâ€™s Zankel Hall and the Kennedy Center. She has also given recitals at Wigmore Hall, Alice Tully Hall and Carnegieâ€™s Weill Hall among others. Ms. Cookeâ€™s recordings can be found on the Hyperion, Naxos, Bridge Records, Yarlung, GPR Records and Sono Luminus labels. Her most recent recordings include Sasha Cooke LIVE , a collection of her performances from the Music@Menlo chamber music festival, Mason Batesâ€™ The (R)evolution of Steve Jobs released on Pentatone and upcoming releases of Mahlerâ€™s 2nd Symphony with Osmo VÃ¤nskÃ¤ and the Minnesota Orchestra on BMI and Berliozâ€™s RomÃ©o et Juliette with the San Francisco Symphony and Michael Tilson Thomas, one of Ms. Cookeâ€™s greatest mentors and collaborators. A graduate of Rice University and The Juilliard School, Sasha Cooke also attended the Music Academy of the West, the Aspen Music Festival, the Ravinia Festivalâ€™s Steans Music Institute, the Wolf Trap Foundation, the Marlboro Music Festival, the Metropolitan Operaâ€™s Lindemann Young Artist Development Program, and Seattle Opera and Central City Operaâ€™s Young Artist Training Programs. Ms. Cooke has given masterclasses throughout the United States and Canada. She lives near Houston, TX with daughters Evelyn and Julia and husband baritone Kelly Markgraf.